SERANG - Today, Monday (20/8), the inauguration of the first High Voltage Switchgear (TT) and Extra High Voltage (TET) plant in Indonesia was established in the Cikande Modern Industrial Area, Serang, Banten. The establishment of this factory is one of the government's efforts to meet the needs of electrical equipment supporting electricity infrastructure. The first TT and TET switchgear plant in Indonesia is one of the proofs of the government's commitment to increase people's productivity and competitiveness in the international market, and realize economic independence by moving the strategic sectors of the domestic economy. "I hope that not only the water-insulated switchgear plant will be built in Indonesia, but in the future digital technology factories in electricity systems such as smart meters, sensors, smart devices can also be built in Indonesia to face the digitalization era," said the Director of Electricity Engineering and Environment Munir Ahmad, representing the Director General of Electricity at the Ministry of Energy and Mineral Resources (ESDM) when giving his remarks at the inauguration. Munir hoped that this factory could contribute to increasing the productivity, competence and competitiveness of the Indonesian people. "At present the government continues to push for an increase in TKDN with various policy packages that provide incentives for companies that can increase the portion of the use of local components in their products," continued Munir. Munir explained, the Government through the Ministry of Energy and Mineral Resources has asked PLN to continue to increase TKDN in every component of the electricity installation that it builds. Thus, dependence on imported equipment and components in the electricity sector can be minimized. "The government continues to monitor the roadmap prepared by PLN in providing the main components for the construction of electric power installations," he said. In electric power systems, switchgear is a combination of an electrical breaker switch, a fuse or a circuit breaker used to control, protect and isolate electrical equipment. Switchgear is used both to turn off equipment so that work can be done and to clean up errors downstream. This type of equipment is directly related to the reliability of electricity supply in a plant. The switchgear factory which was inaugurated was founded by PT Crompton Prima Switchgear Indonesia (CPSI) which is a joint-venture company between PT Prima National Service Enjinniring and CG International Holdings Singapore. 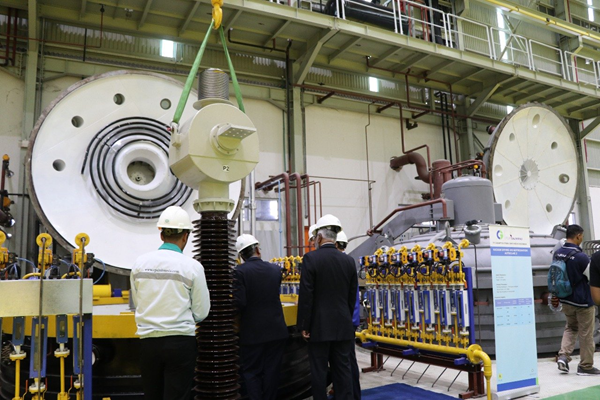 The company produces switchgear equipment for high voltage and extra high voltage (70 kV and above) to meet domestic needs and to be exported to Southeast Asian and Asia Pacific markets. Products produced from the plant are SF 6 gas circuit breakers which function as breakers (CB or PMT), CT (current transformers) for measurement and LA (lightning arresters).